Sup guys, wyatt here with another free SEO trick/training. This is something you can add to your arsenal right away with very little cost. Keep in mind, we've ranked this training on our difficulty scale: slightly advanced. Also, there are a couple softwares that we use in order to get the most out of this method. Alexander here with another post for you guys. You guys loved my first post, building a private blog network from scratch. However, the initial investment of time and money, and the knowledge required to build the blog network was holding you guys back. Today we're going to be building our own Tumblr blog network. These links will help you diversify your current link profile, dilute your anchor text to avoid over optimization penalties, add link juice from different sources, and even allow you to make some money selling links to clients. Now, as you can see, there are a lot more pros than cons, so let's jump right into it. If you are a new GScraper purchaser, you will get their proxy service free for one week. 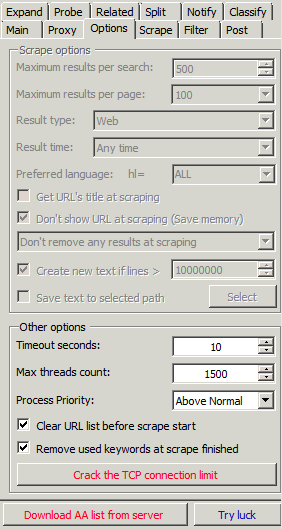 If you do not have Scrapebox or GScraper, the creators of GScraper have published a free version here (watered down, of course). We are going to be looking for Tumblr users that have changed their Tumblr blog URLs. This means that the URL is free to register, and this is what us marketers see: a free subdomain with powerful links hosted on the root of an authoritative website. Sound good? I thought so. Now, there are two ways to go about the next step. You can either choose to have niche targeted blogs, custom tailored to all of your sites in one market, or, you can have blogs from all niches and set them up as general blogs, linking wherever and whenever you'd like. There are benefits and drawbacks to each, but that is up to you. I'm going to be going with the second option, as we will get more results and be able to build a larger network in a smaller amount of time. If you're using the first option of niche tailored and targeted blogs, you're going to want to generate a list of relevant keywords with tools like Scrapebox; if you don't have Scrapebox, UberSuggest is a good online alternative. As soon as loading everything and setting up your proxies, you're going to want to let GScraper scrape for a bit, or until it's done. You can stop it in the middle of its scrape if you are using a larger list of keywords, but, if you are using a smaller list, I recommend just letting it finish. This process usually takes several hours, depending on the size of your keyword list. It should take a second, and then you'll end up with a cleaner list. Now, you're going to want to remove duplicate domains (again, doable from the bottom middle options). Export these and you're all set with the second step. 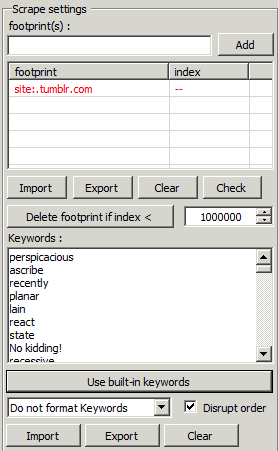 Now we have around 5,000 Tumblr subdomains that we can check (keep in mind, only from scraping for ~50 seconds) with tools such as Scrapebox. As mentioned previously, you can use free online tools for this as well. It is a bit slower, since there are limits, but it is definitely doable. I recommend TomAnthony's Bulk HTTP Status Code Checker if you don't have Scrapebox. Since I do, I will be using it for the last part of this tutorial. Download the Mass Alive Checker if you are a Scrapebox user and pop that baby open. Load your URLs and set the threads to 100 (again, keep them at 20 if you are on a low spec VPS or on a personal computer), it should look like something in the picture above. To ensure the results are accurate, lower the threads after the first check to 10, and recheck the failed (click the button on the bottom middle). You should end up with a lot less dead Tumblr blogs. Now, just export these onto your desktop and let's get to the fun part. Remember when I mentioned the bulk HTTP status code checker above? Well, we're going to triple check our domains with that. Put your exported URLs in the box and wait for it to do its thing. This will show us only the 404's after it's done (sort by status code in the end). Feel free to export these and check their stats. To check their stats, you can use a variety of tools. I usually like to check the domain and page authority first, using this free tool (they say the limit is 10, but it checks more without a problem). You can also check the PR (outdated), TF, or CF (bulk checks can be done with a Majestic premium account). 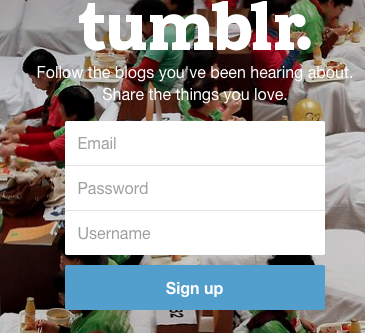 As soon as you pick out the domains you want, just go ahead and register them on Tumblr! Now you're on your road to building your own blog network. The best part? It's free. These Tumblr links can help you diversify your anchor profile, spice up your current link building methods, or just serve as your only set of links, when trying to rank on Google. Something smells funny with this one. It's free but it will cost you $$$ in software to make it work and before you say it, good luck hunting down the free software they mention. It's all about the affiliate commissions from these software vendors I suspect. No affiliate links here! The thing is, most SEO's already have these softwares in their arsenal. We did, however, mention free alternatives in the post incase you don't want to invest in any of these tools. Lol, look, even if he was getting affiliate money from this post, does it matter!? He's giving away free money making info that can change your life. If you think its all about affiliate commissions, then that means you really aren't ready to be a serious entrepreneur in SEO, truthfully. You need to take action on this post and see the results for yourself. I don't get it, people complain ("we don't get the info"), yet when they receive it they always think its a scam lol. This biz is soooo open to opportunity lol! Thanks Wyatt! As stated in the beginning (and end, to reiterate the main idea), it's mainly to give some extra juice to your money site, to diversify your link profile, and dilute your anchor text as well. 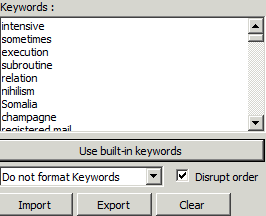 Keyword lists are to scrape, with tools such as Scrapebox or GScraper, there is no need to use a premium one, there are free alternatives listed in the article as well. For your second question, (as stated in the article again) you can do general or niche relevant, it is up to you. Methods to do both have been listed in the article. If you are worried about the cost, I recommend you read the article, as I have included ways to do everything without spending a dime - the only reason for spending money is to make the process faster, but there is definitely no need to do so. I tried this but GScraper (free) would not proceed because the "Custom Proxies List is Empty" and I can't see a solution to that problem. So unless someone comes up with a solution I can go no further. Thomas, In the above training you only get the Proxy Service 7 days free if you buy gscraper. Not sure if you can buy the proxy service seperate. Yep! You can, click "extend" in GScraper, or just click the link in the beginning of the post! ADD SOME PROXIES - IT WORKED FOR ME! Great tutorial Alexander! It's high value, no fluff, content like this that keeps people coming back for more. Thanks a lot! Great Post. I will give this method a try. Thanks! So I found a few of these (they were the 404 redirects), went to register them and Tumblr stated, "Somebody has already claimed the username"
Same here. Does this method work anymore? Could you use fiverr for the scraping and other tools? To be honest, when doing things like this, I prefer doing it on my own - it gives me a sense of security; I know my niches aren't being monitored for later use or the sellers aren't going to register the blogs before me. There are free alternatives to everything mentioned in the article - the use of these tools is to only help speed up the process. So just to be clear, we want to find the dead ones and re-register them, right? I follow you to the point where you say now register them on Tumblr. What do we register? Are we re-using the dead names? Sorry but I'm missing it. Same, I have a list of dead domains but I'm not sure where/ how to register them. thank you drip apps team for great share. So like Scott, I haven't been able to register anything. 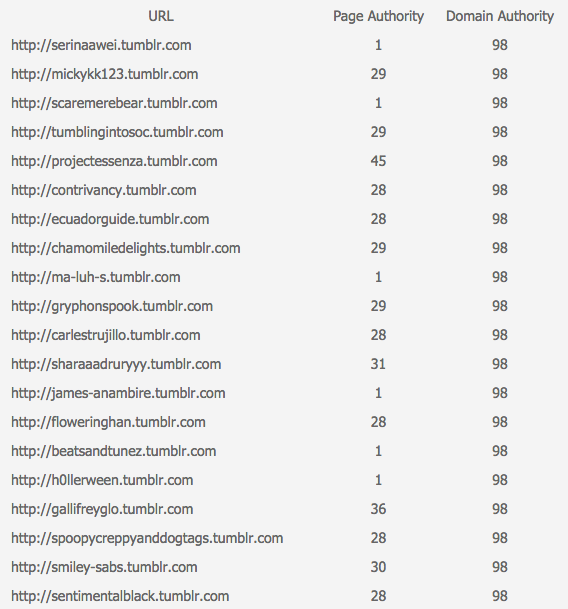 All the ones I've found that have 404s are already claimed according to Tumblr. Is there something I'm missing? Is there a diminishing return after 3 tumblr links to a site? I realize they are different subdomains, but the root is the same. What are your thoughts? Thank you x 45 Alexander!! You've got some Reeeally Cool Friends Wyatt. laugh my a** off when you said..
stats, and URL in a spreadsheet..
and uplifting disposition. ur awesome dude. I found a software that can tell you what urls are available for re-registration yet (apparently it takes time for many to become freed up) and that will help you manage your Tumblr PBN. It's called Tumblingjazz. Pretty amazing but very complex. It should replace the need to verify the dead ones by telling you right off the bat which domains can be registered. It's like $70, but it eliminates the need for Scrapebox for this purpose. I personally use Scrapebox because of its speed, but if bots can be 100% sure that the username is available to register, I'm sure they're using the Tumblr API (https://www.tumblr.com/docs/en/api/v2) - sounds like a useful tool, however. The macro concept is , find dead tumblr blogs with high PA and DA. If is dead, register and use for diversify your link profile. Or you could create a Tumblr subdomain and fire a few Fiverr backlink gigs at it. Saves all the faffing around with gscraper etc. You guys really do overcomplicate SEO with gimmicky stuff. If you're going to be building a network of sites and be pointing them to your money sites, I would stay far away from Fiverr or anything else like that. These subdomains have actual links from authoritative sites, and although they can be a bit hard to find, in the end, it's worth it. At the end of the day, you can either have spammed sites pointing to your money sites, or spend some extra time and have sites that have quality links. Think of it like an actual blog network: buying new domains and spamming them with Fiverr gigs vs scraping for unregistered domains with high quality links. Great info. What other platforms should we look for to diversify our links? Great content - I got some really good tumblr for my PBN! 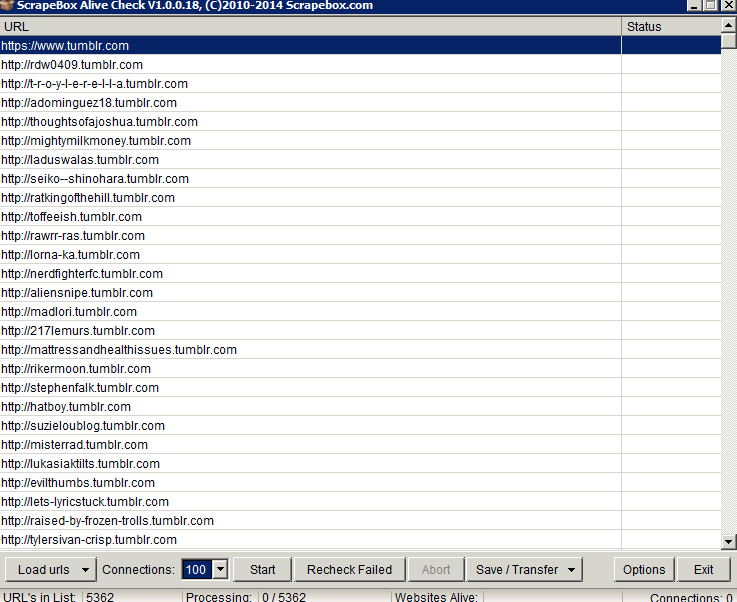 Does tumblr domain need also to be indexed before we decide to register it? How 'bout the content of the site? Do these expired tumblr accounts still have content attached to them? Or should we create new content from scratch? And if they need regular updates just like other blogs? I've got a tweak to the process that I've found works really well. You'll need gscrape, scrapebox (to speed up the process), Tumbling Jazz, MajesticSEO, and the free Moz checker. Step 2: Alive check with Scrapebox - IMPORTANT: if you want to get the best results from SB, when you open the alive checker, go to options and make sure you have both 200 and 301 defined as what results in an "alive" reading. The default is only a 200, which gives you a TON of false "dead" readings. Step 3: Take the dead urls and plug them into Tumbling Jazz to find which ones are available for re-registration. Step 4: Import final list from TJ into Majestic to get the highest TFs. 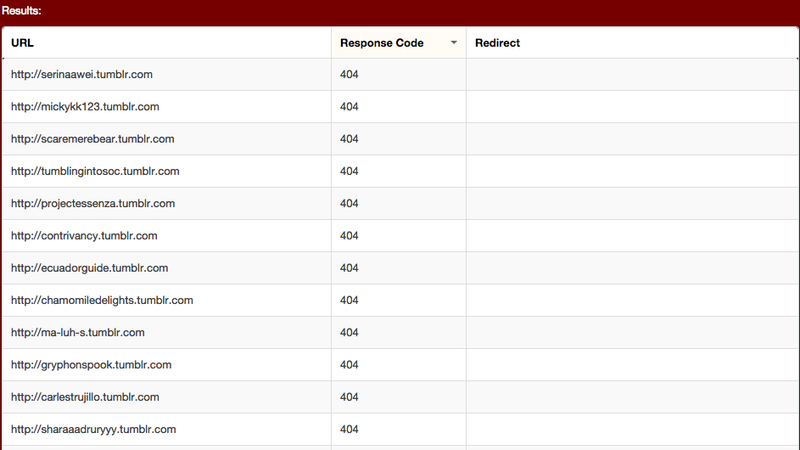 Step 5: Take that list and plug urls into the free Moz checker to get the highest PA. Step 6: Start registering (you can bulk register with different emails through TJ, as well - plus you can manage all your Tumblr domains and content with it, too. This way, you end up with only available domains that are the highest PA and TF from your list. Your list won't be huge unless you're doing a general scrape, but you can always sort for niche based on the TFs found in Majestic. 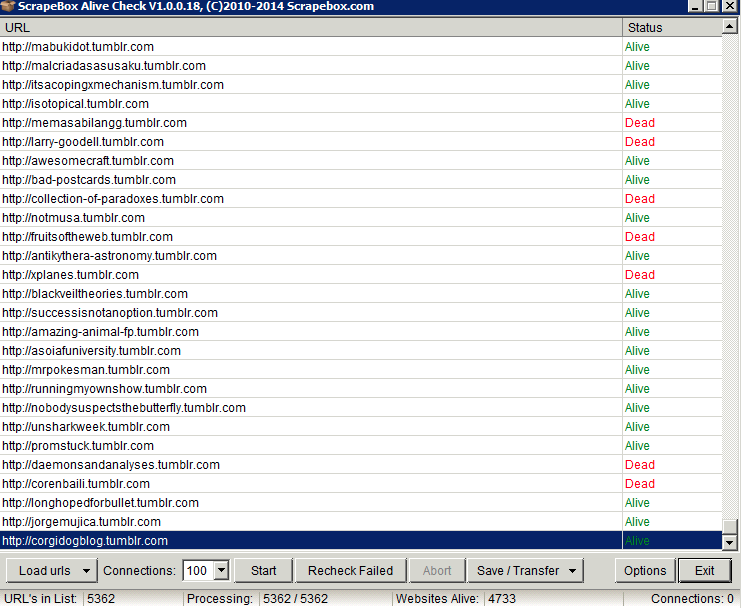 I got about 1,000 POTENTIAL dead domains from an initial scrape result of a half million. It takes some time, even with the software, but you want a clean list, right? Better than spending hours and hours looking for more expensive expired domains if you're on a budget. I spent about $300 on software, but that would only buy me a few good expired domains. If I can get 5 from this, it was worth it! I have all of the software you are talking about, but could you go over in a little more detail about how you use tumblingjazz. Thanks a ton for the additional info. Great method. Sometimes work pays off. It did today. Thank you. I'm getting all “Somebody has already claimed the username” messages. Is this technique dead now? I have read that expired tumblr domains lose their PR ? If not, won't you have to create the pages as they were ? Old thread but a technique I still use. You will need to put the URL in a tool like scrapebox, get all the pages that were previously associated with that domain and re-create them. All pretty easy with automated tools (Like FCS and Syndwire) but I do this to keep the pages which already have links in existence. Some say you don't have to - I rarely listen to "some". Better to be safe than sorry I think. Yes, you can. I just did. You can't register all of the 404s, read the Tumblr help docs. What should the TF & CF minimum be? I get some available with 0 TF and CF 0. Should I register those names or they are not good? But the PA and DA is higher?